Quick Candle Ritual 101 | Robert Mitchell Jr.
It’s amazing what you can get done with a candle, a scrap of paper, and a little ink. So it was 7:00 am and I had a busy, stressful day ahead. I guess most folks would have an extra cup of coffee, make an ironclad To-Do list, and get on with the day. But I’m not like most folks. 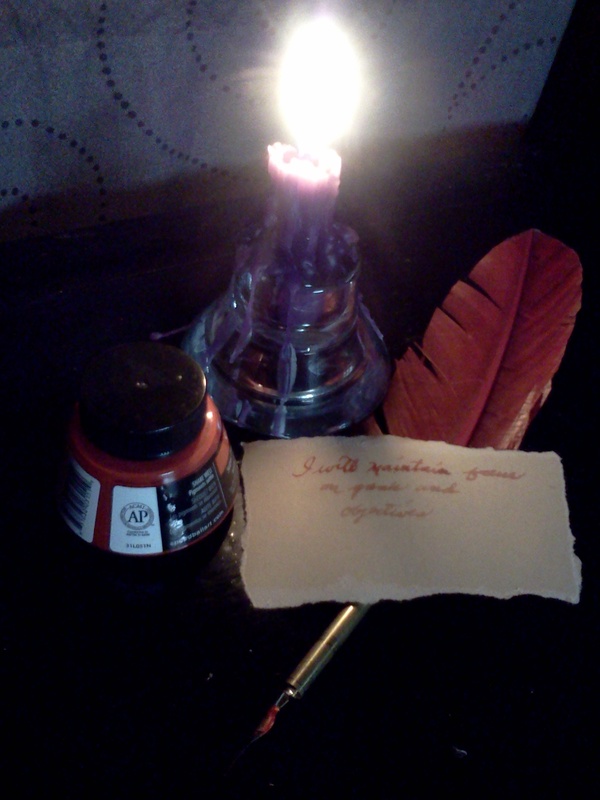 I had the coffee, made the To-Do List to end all To-Do Lists, and then got out a candle, a scrap of paper, and my quill pen. On the paper I wrote, “I will maintain focus on goals and objectives.” I then put the paper under the candle and took a seat on my prayer stool facing the candle (prayer stools are the best thing since screen doors — I made my own but you can buy one or improvise. While traveling I usually flip over the hotel ice bucket and use that. I’m not kidding). I then spent ten minutes looking at the candle and imagining that my desire for total focus was being sucked up by the candle and beamed out into the universe along with the candlelight. I had a great day. Did the Universe hear my plea? Or did I just self-hypnotize myself into being totally focused on what I had to get done that day? Does it really matter as long as it works? Well, I think it kind of does. Partly because the Universe doesn’t give a crap if I live or die, fail or succeed, unless I do. But mainly because a Universe that hears me if I take initiative and approach Her respectfully is a much more pleasant place to live than a dead Universe that cannot hear. I do this kind of stuff all the time. Try it — it’s fun and it works. This entry was posted in Mysticism and tagged candle, focus, magic. Bookmark the permalink. You continually make me proud. I’m a lucky daughter!